HBWHOF: SANTANA'S NO-NO...A'S ON FIRE!! The big news in baseball was Ervin Santana's no-hitter against the Cleveland Indians. Santana no-hit the Tribe and added 10 strikeouts. The Angels beat Cleveland 3-1. The Indians scored their lone run in the 1st inning when Cleveland center fielder Ezequiel Carrera made it to first base after he hit a ground ball that glanced off the heel of shortstop Erick Aybar 's glove for an error. Carrera stole second, went to third on a groundout and scored on a wild pitch. Boston's bats are wicked! The Red Sox beat the Royals 12-5. 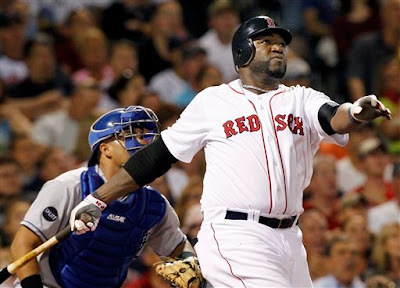 Jacoby Ellsbury and Dustin Pedroia homered and the Large Father hit a grand slam. Ortiz belted his 10th career slam - his 9th with the Red Sox - tying him with Rico Petrocelli for 2nd all-time in club history. Ted Williams(of course) leads the club with 17 grand salamis! Max Sherzer pitched a good game for Detroit, but to no avail...the White Sox beat the Tigers 2-1. Scherzer pitched 6 innings, gave up 6 hits, 2 runs, 4 walks and added 8 Ks. The Detroit bats couldn't solve White Sox starter John Danks. Danks struck out 10 Tigers' batters. 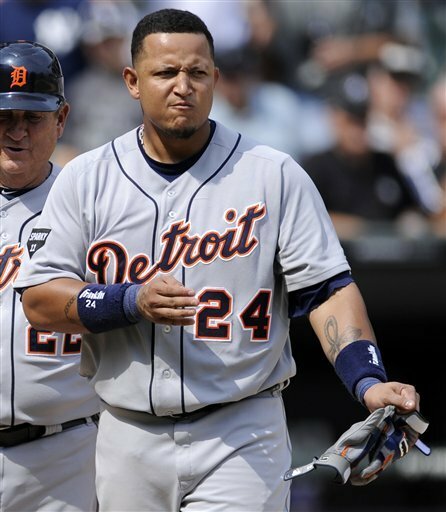 His lone mistake was serving-up a leadoff home run to Austin Jackson in the 7th inning. THE OAKLAND A'S ARE ON FIRE!!! Since the All-Star break, the A's are the hottest hitting team in baseball! 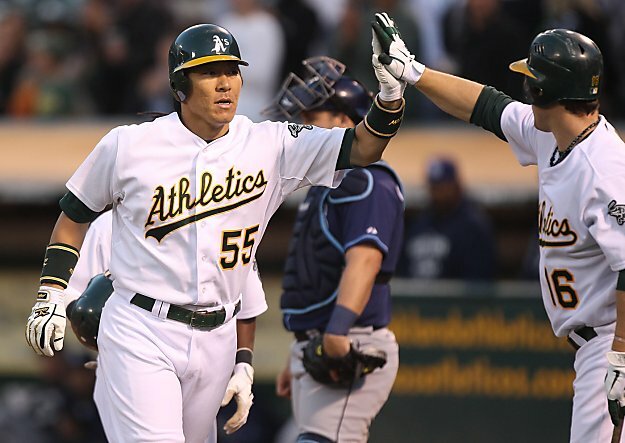 On Wednesday night, the A's beat the Rays 13-4. Oakland scored 9 runs in the 4th inning. Hideki Matsui and Ryan Sweeney hit dingers. The A's had a season-high 17 hits. Matsui went 3-for-5 with 5 RBIs. Jemile Weeks went 3-for-4 with 3 RBIs. Ryan Sweeney went 3-for-4 with 2 RBIs. Scott Sizemore went 2-for-4 with 2 RBIs. The A's are averaging 6 runs per game. They averaged 3.42 runs before the break. The A's are hitting .321. They hit .233 before the break.